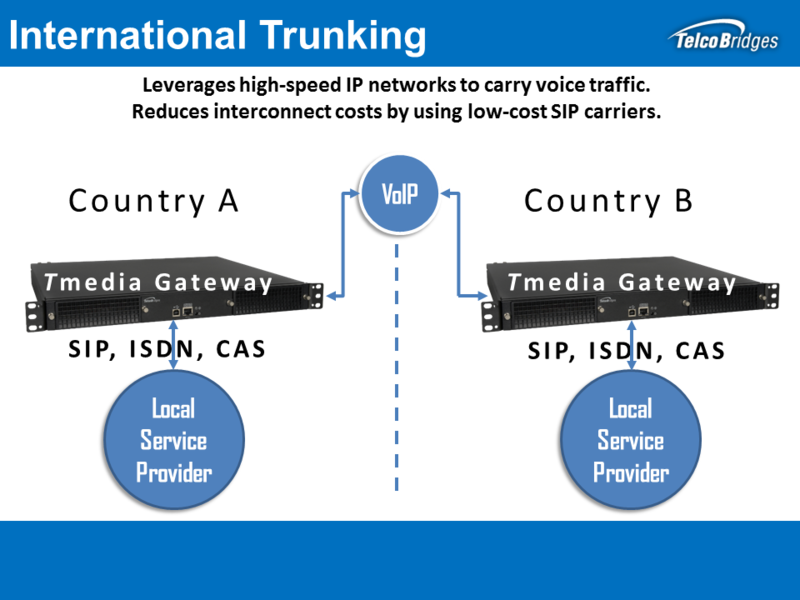 International Gateway Operators can trust TelcoBridges' Gateway products for converting Media (TDM/IP) to transport voice over the internet. Our solutions are SS7, have high capacity, and offer full VoIP channel capacity as well as Echo cancellation on all channels. Click here to go to International Gateway Solutions for Carriers.